In the past fifty years, the standard of living in most industrialized nations has risen dramatically, but the number of people describing themselves as content has remained steady or fallen. The result has been a growing desire to regain some of the virtues of simpler times, whether by forgoing luxuries, switching careers, or returning to nature. 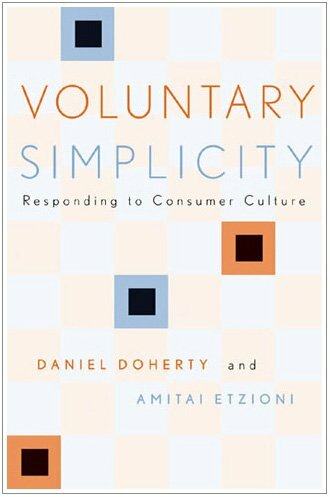 These essays reflect on the different facets of voluntary simplicity and consumer culture, providing an historic view of the movement as well as a social-scientific analysis of its causes and effects. Duane Elgin is an author, speaker, educator, consultant, and media activist. He pioneered the Voluntary Simplicity movement with his now classic first book, titled by the same name, published in 1981. Elgin has co-founded three non-profit organizations concerned with media accountability.